Voted Best Pool Fencing. #1 NY Pool Fence Installer. 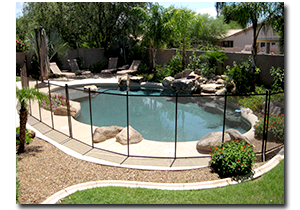 Schedule Your FREE Pool Fence Estimate Today! Click here to learn more about our promotions. Pool fences will be installed at a discount, only for a limited time! Take advantage quick before the promotion ends! Learn more. Introducing the new Omni Hanger – the first removable pool fence accessory meant for hanging towels, bathing suits, flotation devices and more!...read more. 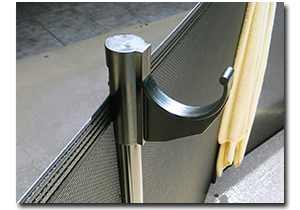 The self closing, swimming pool gate is the most essential component of any pool fence system. 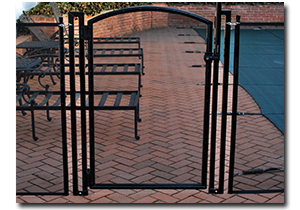 Come see the most attractive and strongest pool fence gate around...read more. Why Life Saver Pool Fence for your Long Island, New York Home? Life Saver Pool Fence has been in the business of pool safety equipment for over 25 years. When you install a Life Saver Pool Fence you are getting the strongest removable mesh pool fences for child safety available on the market. Additionally, you receive professional installation services, a lifetime limited warranty for the pool fence as well as excellent customer support. We care about the safety of your family and ensure the most knowledgeable, reliable service when you buy our pool fences. Life Saver Pool Fence New York has been providing pool safety solutions for more than two decades now. Our experts have the required expertise and experience when it comes to safety fences for pools. Pool fences from Life Saver are removable, made with the strongest industrial mesh available, and they come with a lifetime warranty. Child proof pool fences for swimming pools have been used for decades as a preventative measure by parents and grandparents. Companies like ours can provide you a solution to meet your budget. When you hire us to install a home pool fence, you are providing your kids, toddlers and pets with a critical barrier of protection against accidental drowning in your pool. Contact us here to set up a FREE pool fence estimate now or call (516) 766-5336. Swimming pool fences from Life Saver go through several testing phases as per international pool safety standards and only then are the fences approved for use. 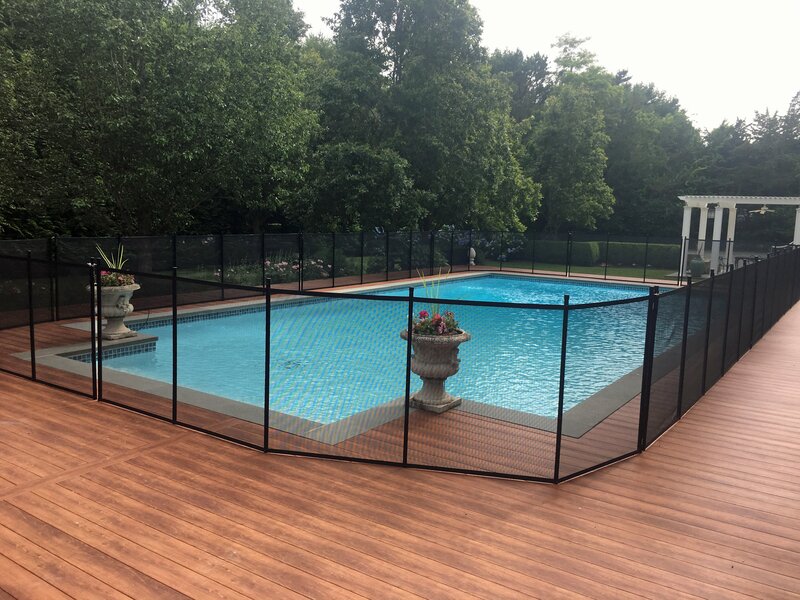 The removable fence we use is recognized by swim safety and pool safety organizations across the state of New York and the country (recommended by the US Consumer Product Safety Commission), which is why many refer to them as the best pool fence for safety. In addition to being extremely safe, we use a highly transparent mesh which also makes it visually appealing. We also use solid core construction on our aluminum poles. Whether you have an above ground or inground pool, a pool fence can be an effective means to child proofing the area and creating a barrier of protection in your back yard. Because Life Saver products are the strongest and toughest on the market, they are particularly fail proof even when heavy weight and force is applied under the most rigorous testing. We own the pool fence Manufacturing; we are not just a local child pool fence dealer. That means we are accountable and take full ownership over the quality of our products as well as the installation service you receive. This also assures you that you are getting the best pool fencing at a great value. Lifetime limited warranty. Beyond our real lifetime warranty on our products, rest assured that we will be there for you from day one to years later, as your needs change. Whether the ground shifts and you need an adjustment or your need an upgrade or new fence, we have customers for life. No Deposits upfront. We get paid in full when your pool fence installation is complete. We never require a payment upfront. That’s our 100% commitment to you. Free estimates at your home. When you call us, we aim to schedule a visit to your home within 24 hours where we will determine exactly what you need, review your pool fence options, and discuss what it will cost. It is our goal to install your safety pool fence in one week. We return every call. That’s our guarantee. From your first point of contact, deal with the Owners. We are here for our customers, from day one on. Pool Safety Fences by Life Saver New York. Home pool safety is not optional. Whether you have an above ground or below ground pool, or if you are considering a temporary (seasonal) vs. permanent solution (year round), it is a must, given the drowning accidental death rates for kids under five in New York. Pool safety fences for kids can prevent your children and pets from venturing into the pool area unattended and protect your swimming pool from drowning accidents. Whether you are a parent, a loved one, a guardian in charge of children, or a friend, when you are with a child near a pool, it is your responsibility to protect them. Instantly Download our FREE Swimming Pool Safety Guide here to learn the different pool safety measures you can take to prevent accidental drowning and other pool-related injuries. 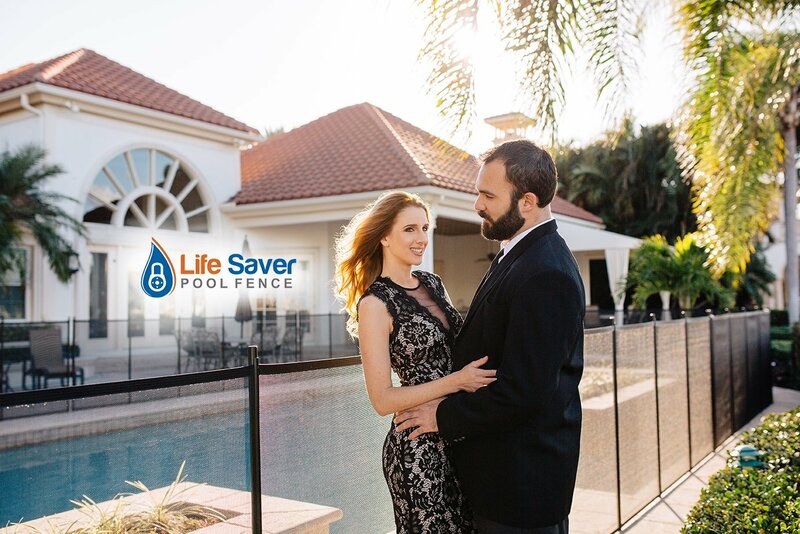 We, at Life Saver New York, understand the need and importance of installing pool fences that restrict access to swimming pools and bodies of water near your home (examples: beach front, bulkhead on canal, pond). You can contact us for free estimates and consultations. We can answer your queries over the phone and also conduct free on-site consultations to give you a pool fence price and the peace of mind you’re looking for. We understand the time constraints of busy New York families and provide you the option of flexible appointment times. We are always available for after-sales service so you can contact us for any emergency work, maintenance and cleaning of the fence. Call us today at 516-766-5336 to learn more about our top rated pool fences, the fence installation process or to book an estimate.